If you've been thinking that Nintendo is having a great year, its latest financial report proves you haven't been wrong. We've already written about the sales of the new Nintendo Switch console, which have been so outstanding that the device is on track to overtake the lifetime sales of the Wii U within a year. But the games are selling well, too. The newly released Super Mario Odyssey reached sales of 2 million in just three days, which is a wild improvement over the month it took the critically acclaimed Legend of Zelda: Breath of the Wild to reach 2.7 million sales. 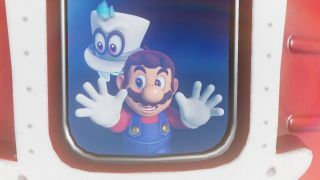 In our review, we called Odyssey one of Mario's "most inventive adventures yet." Nintendo also dropped in some numbers about the SNES Classic Edition. Even with the shortages that followed almost immediately after its release, Nintendo managed to sell more than 2 million units within a month of release. That number is likely to go up much higher now that fresh shipments are starting to go out to GameStop and other stores. It's not all rainbow roads, however. Super Mario Run is proof that popularity doesn't always mean success, at least for Nintendo. Even though the mobile game has been downloaded 200 million times and 90% of those downloads came from outside Japan, Nintendo president Tatsumi Kimishima says it has "not yet reached an acceptable profit point." On the bright side, the report goes on to say that Super Mario Run has allowed Nintendo to reach markets it was never able to with its traditional consoles. Part of the reason for Super Mario Run's "disappointment" may be that Nintendo opted for a fixed price point for unlocking the entirety of the game. Fire Emblem Heroes, Nintendo's next mobile game, instead relied on a free-to-play model and microtransactions for its revenue and so hauled in more cash despite snagging fewer downloads. Variables such as the respective quality of the games may have played a hand, of course, but it's likely no coincidence that Animal Crossing: Pocket Camp — Nintendo's next planned mobile game — will embrace a free-to-play model as well. Watch us take the wraps off the Xbox One X in our unboxing video!